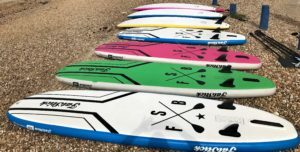 The summer of 2018 saw the greatest number of boards sold EVER for FatStick – it also saw the longest amount of time with an empty stockroom! Whilst one situation was incredible, the other was heartbreaking – but, and there is a ‘but’, the summer saw FatStick’s footprint grow immensely and this cannot be credited to just Reuben & Andy. Year on year our Social Media grows and grows. Only a portion of that growth can be through good marketing, the lions share goes to the people that call themselves FatStick Family! You guys shine the light on a fast growing UK brand that attempts to live up to its mission, day after day. So here we are in the twilight of 2018 with 2019 in touching distance and although the summer has left us, our ambitions haven’t. At the end of every year, Reuben & Andy sit and discuss what worked, what didn’t and where they want to be next year – well this years discussuons have already started! 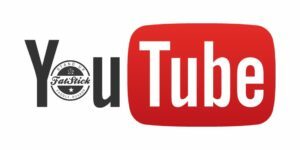 2019 will see a new beginning for FatStick – the brand won’t change, neither will the ethos or mission, nor will the team – what will change is the reach of FatStick and by reach, we’re not simply talking digital. We have a new opportunity to grow our physical reach and give people options on browsing our products. We aren’t allowed to ellaborate any further…yet. When we do, obviously, you guys will be the first to know. Even though we’ve faced adversity in the summer of 2018 by way of stock numbers and a few other minors ‘rumour mill’ issues, we have, as a team (that means you lot too, not just those in FatStick HQ) have faced them down, remained resilient and emerged stronger than ever. Keep watching. Keep asking. Keep pushing. 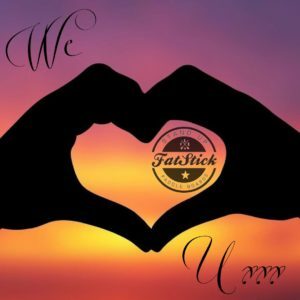 You lot keep us busy and you lot make us ‘FatStick’ – you guys help people fall in love with the brand, we just pick up where you leave off. You make the intro, we do the rest. All we ask from you is the support you already give, the love you already spread and the craziness that you always show! New boards, new designs, new journeys, insights into what makes us work, honesty and as always, we promise we will do all we can to get you and those you recommend us to, out on the water at a reasonable cost.